When I finally coax Carmine Alcidi into sharing something about Bar Nilo, the café his family has owned for decades on Spaccanapoli, he gives the pithy, vague, metaphysical, annoyed, dramatic response, “This bar has been our entire life.” Then he wipes some drops of sweat from his forehead with his hand and goes back to the cash register. The weather in Naples at the beginning of summer is already sultry and many locals can hardly stand it. I lean on the counter and ask for a coffee. 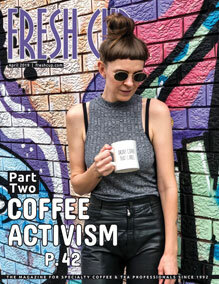 A young barista, probably Alcidi’s son, spins round in the narrow space between the bar and the coffee machine and he hands me a glass of water. A few seconds later he places a small espresso cup on the saucer in front of me. My eyes linger on a miniature shrine on the wall dedicated to Maradona, considered without a doubt, at least here, history’s greatest football player. Inside the shrine there’s a frame with a caption reading, playfully sacrilegious, “Miraculous Hair of Saint Maradona.” The relic is surrounded by figurines of other saints clustered in the corners. 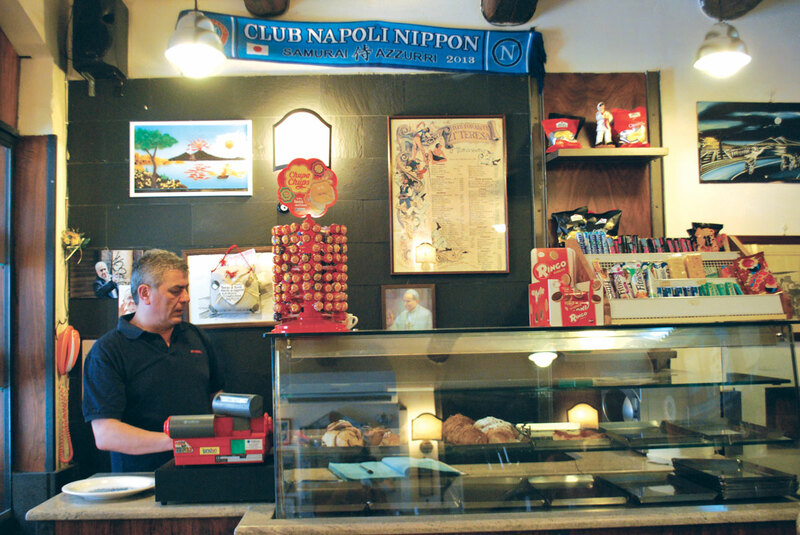 Flags and shirts of the Napoli soccer team are everywhere, separated only by posters of Totò, another Neapolitan icon. “In Naples we live for football. Our conversations are based on football, football has a central role in our lives,” says Alcidi. When he says football, he means AS Napoli specifically. “Maradona is a god for every Neapolitan. Football lets us escape from our everyday problems.” Then he says, “Foreigners are often confused by that, but they have to think of Naples as apart from the rest of Italy,” and I’m not sure if he’s talking about just football. To Alcidi the bar felt like his destiny. He accepted it and deals grumpily with the people strolling in, attracted by the picturesque decorated walls. 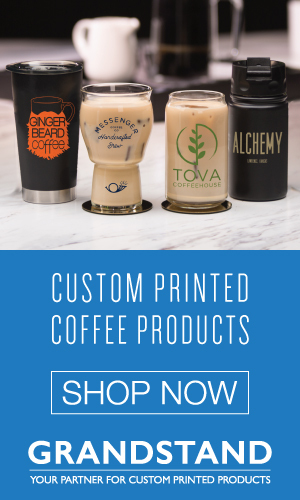 He neither cares to make his business grow nor to accommodate any other need than providing people with their espresso on the go. Why should he care? Running the bar is what he was intended to do, even before his birth. 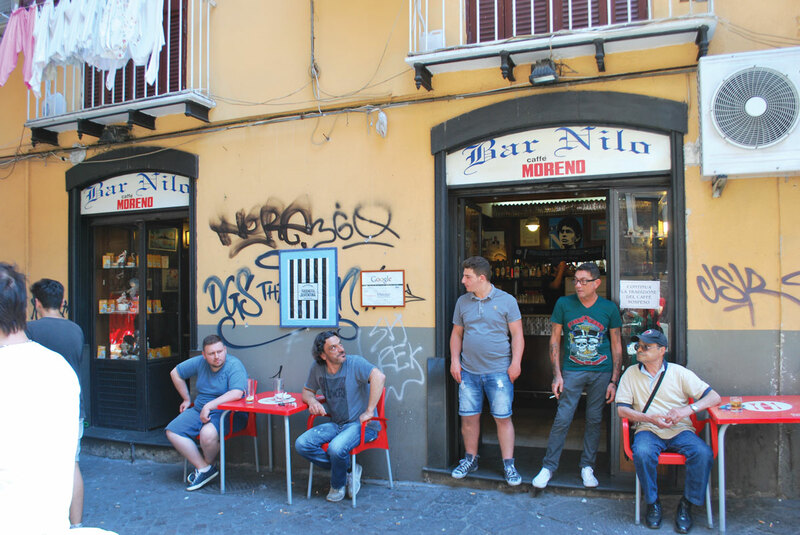 The history of this bar on Spaccanapoli—the name of the street cutting old Naples in two—is similar to that of hundreds of Neapolitan bars. 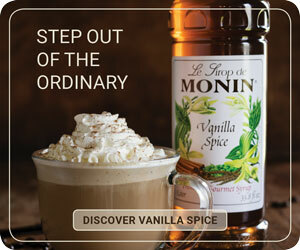 It was founded eighty-five years ago by Alcidi’s grandfather and was originally a milk shop. 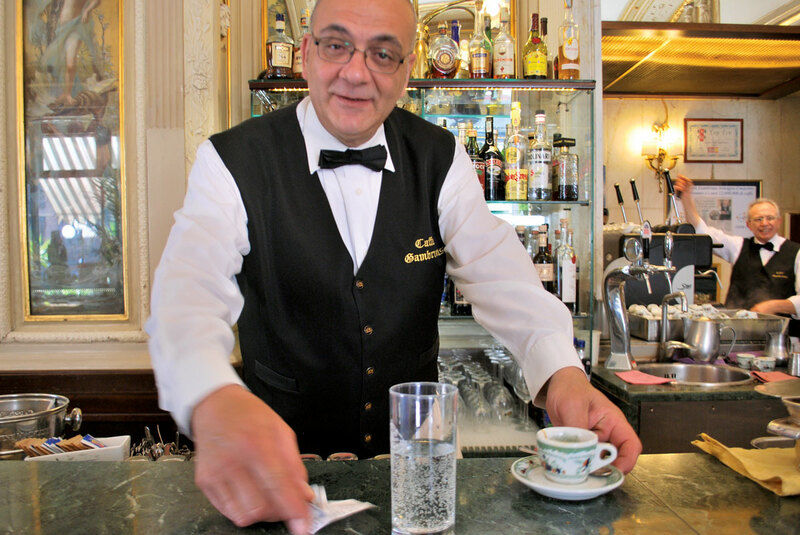 Back then there were no small bars; the only places where you could sip a coffee were the gran caffè and then only if you were a gentleman. 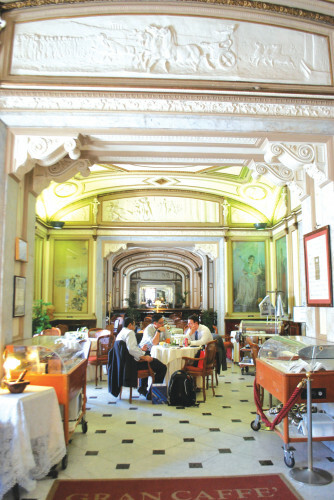 The most important one was unquestionably Gambrinus, a beautiful art nouveau café, a short walk from Naples’ esplanade. Before and during the Second World War coffee was a very precious commodity. After the Second World War milk shops slowly turned into coffee shops, expanding coffee houses beyond the upper class. Alcidi’s grandfather followed the trend. Neapolitans have always loved coffee, despite the difficulties they faced during the 1800s and the first half of the 1900s. The people used to roast coffee in the bassi, the typical ground floor homes in the dark lanes, completely open to the street. Sometimes they also sold it. 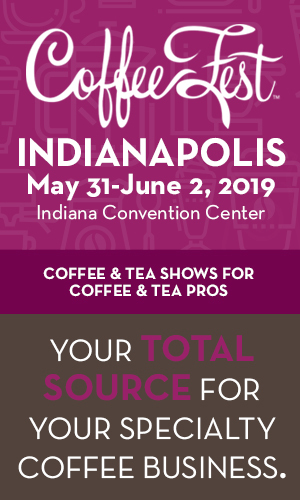 The highest concentration of coffee roasters was on Via Roma, the main street. Passersby were transfixed by the aroma coming from these shops, which mingled with the sweet scent from the pastry shops. The idea of sitting and chatting over a drink is not entirely new to Gambrinus, which has always been a social place. Intellectuals and politicians have come regularly to Gambrinus since the 1800s. Writers have even created works here, Oscar Wilde and Gabriele D’Annunzio being two shining examples. 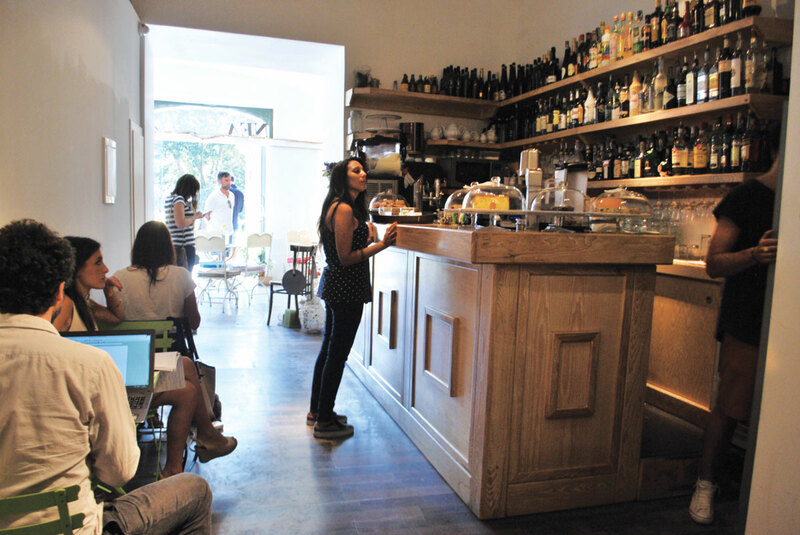 Not far from Spaccanapoli, in the pivotal square of Piazza Bellini, a new shop called Nea accommodates the growing desire for a convivial place. To get from Spaccanapoli to Piazza Bellini I took the street passing the Conservatory San Pietro a Majella. My walk was accompanied by the voice of an opera singer performing scales mixing with other students working on piano melodies. Nea’s baroque entrance, formed by a double staircase, makes you think of an old-fashioned place, very much like Gambrinus. Yet Nea is the opposite: a white and pristine space with clean-lined, colorful furniture and a wall full of books. Luigi Solito and Bruno La Mura at their Nea café. The location is strategic. 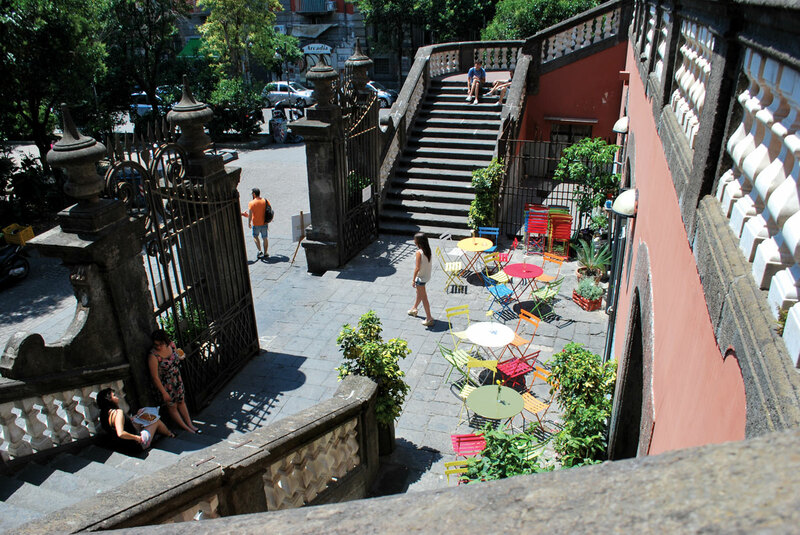 Located alongside the University of Naples Federico II, Piazza Bellini is the square where young creative people hang out. Even though this area of the city is particularly rich in terms of local history, Nea has a rather international feel to it. It’s a multifunctional space, combining a cozy, rigorously Wi-Fied coffee shop with an art gallery. If you walk past the counter, along a short corridor, you reach a room exhibiting contemporary art. The combination of culture and sociability belongs to Naples’ identity. Nea’s sweet spot has been to communicate Neapolitan culture globally thanks to an international concept. Solito explains that Nea is the answer to a need among Neapolitans. “Nea has the genius of simplicity. We don’t even need to define it as a café or a gallery. People come in and appreciate the space according to what they are looking for.” The diverse identity of Piazza Bellini and the many activities at Nea attract a varied clientele. It’s therefore impossible to identify a typical target audience for the space. You can find a fifteen-year-old rocker and an eighty-year-old book lover peacefully sharing the same space. The result is the meeting of people who wouldn’t otherwise do so. “We like to say that you become a Nea ‘user.’ This space shapes you thanks to its cultural and didactic aim,” says La Mura. Nea is open round-the-clock, all week. Concerts and events are free. Before Nea other shops had tried a similar format, but failed. Many closed or transformed because they were not able to balance the cultural aspect with the commercial side of running a coffee shop. “It’s not easy to be coherent but we are very happy with what we have done so far,” Solito says. Nea’s achievements are evident. Since its opening, Piazza Bellini and the surrounding area have intensified their cultural connections, creating a local and international network. Nea has become a must for concerts, exhibitions, and book presentations. On my way to the train station, I relish the blending taste of the three coffees I drank respectively at Nea, Gambrinus, and Alcidi’s bar. In a similar amalgam, these three different coffee cultures pleasantly coexist in Naples. Remaining adamant on quality, these shops are enriching the coffee experience in this beautiful city. —Naima Morelli is a writer based in Rome and Melbourne.